Li’l Bubba™ (patent pending) drains splash water, allows no backwash or breathing resistance and clears easy as ptuey! 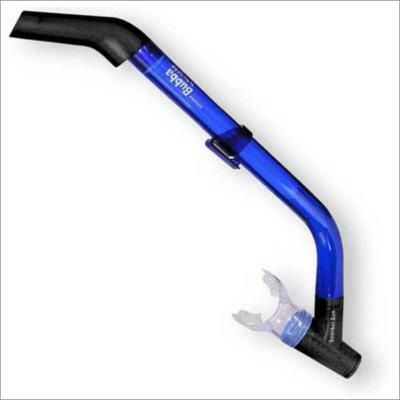 The Li’l Bubba™ is the first dry snorkel in small format in the history of the world. The Li’l Bubba™ dry snorkel & its counterpart, the Li’l Mo Betta™ snorkel mask, deliver world-class quality & performance to let your junior barracuda meet the reef with confidence. Nobody cared until I, Snorkel Bob, sensed trouble. The reefs of the world need defenders who feel at home with Mama O now, with no salt water jamming their gullets. 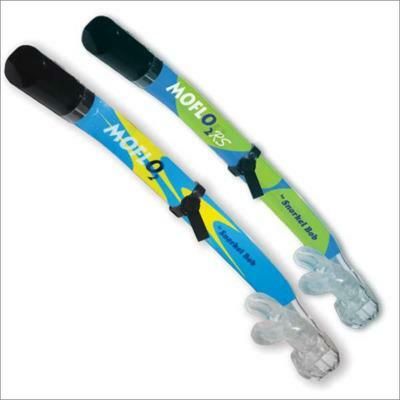 Little kids gag on adult snorkels or junk kid snorkels that collapse. Salt water sloshes into the sinuses and burns, and the deal is off for 10 more years. 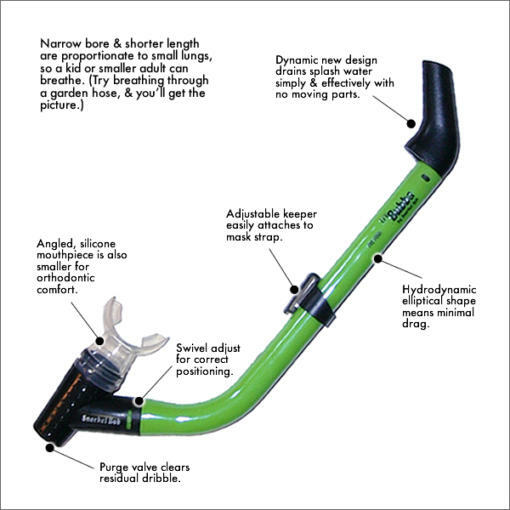 The 1st METHOD is to divert splash water so that it drains before it reaches the mouth hole, & to hermetically seal the breathing tube anytime the snorkel is submerged. The result is a true dry snorkel. HOWEVER, this method entails PERIL, since any hermetic seal of an enclosed space underwater is subject to volume exchange and exponentially increasing pressure. In practical terms, this means that touching your tongue to the mouthpiece at depth as your attitude (angle of snorkelature) changes, engaging the hermetic seal can literally pull the tongue from your head. This unsavory experience results in what I, SB, call The Lawyer’s Delight. The 2nd METHOD employs simple diversion(s) of splash water before it reaches the mouth hole. This method does not hermetically seal any enclosure, so that submerging for all 360° of snorkelature will result in the tube filling with water, but the solution is simple; surface and ptuey! There is NO risk here of a tongue pull. Though the end product here is not a true dry snorkel but a semi-dry snorkel, since it will fill underwater, I, Snorkel Bob, have chosen this one rather than the other. If the reason for this choice is not obvious, I, SB, invite you to wrap your tongue in non-skid gauze, tie a string around it and fix the far end to a door knob (door open), then slam the door. Thank you, you have successfully subscribed to our newsletter!